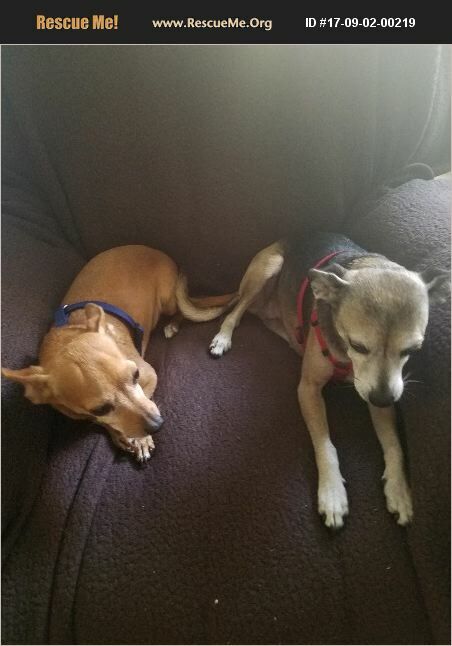 Ricky, age 10 1/2 (left) and Lucy, age 11 (right) have always been together and must be adopted together. They are loving and want nothing more than to be loved and in your lap. They are also used to sleeping with their human, under the covers and sometimes even with a pillow! They enjoy their walks and must be taken out regularly because they don't alert you when they need to go out. They do occasionally have accidents in the house. I am no longer able to care for Ricky and Lucy and desperately need to know that I find a safe and loving home for them with a human who will hopefully be able to commit to them for the rest of their lives. This has been a gut-wrenching decision and I need to know that they will be loved and treated well.